Nanci’s Frozen Yogurt has partnered with Spaceman USA to offer an exciting customer promotion. Buy any Spaceman soft serve frozen yogurt machine and get 50 gallons of Nanci’s Frozen Yogurt mix FREE! Complete the form below to reserve your mix and talk to one of our highly trained product specialists. Once you select which frozen yogurt machine or machines, you can select your flavors. Nanci’s frozen yogurt headquarters is located in Arizona and ships nationally and internationally. Nanci’s is proud to display a Spaceman 6250AH frozen yogurt machine at their headquarters for product testing and development and demonstration. To set up a demonstration locally, please contact Dave Wudel at Nanci’s or your local Spaceman representative. What Makes Nanci’s frozen yogurt Different? Nanci’s frozen yogurt mix is shelf stable and does not need to refrigerated storage, which makes keeping and transporting it a breeze! 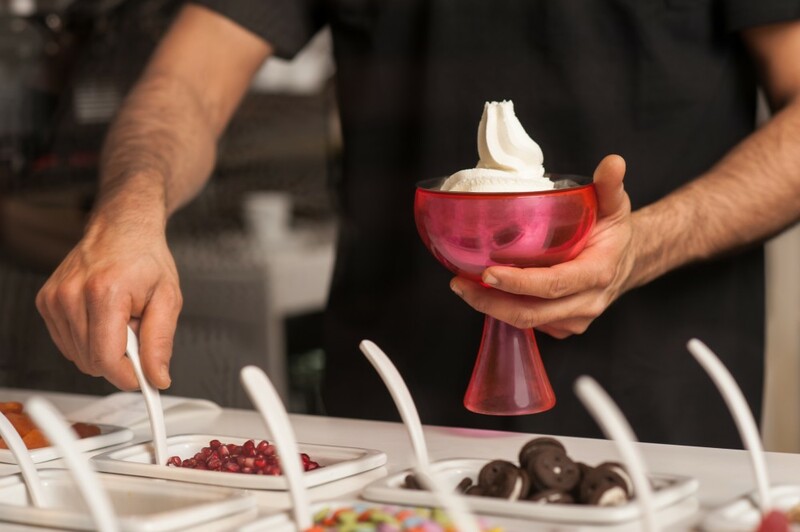 Nanci’s frozen yogurt product works well with Spaceman machines and is recommended to serve at 17-19 degrees while dispensing. Nanci’s is also able to help you with all cups, spoons, and cleaning supplies you may need.